It’s here! Another US-Based brand that I’m a huge fan of - Milk Makeup is finally launching in the UK at the end of this month, and I can’t bloody wait. Maybe you don’t know who or what Milk Makeup is, but that’s fine as I’m here to give you the lowdown on the brand, and the products that have snuck their way into my Sephora basket when I’ve visited the US. Milk Makeup was founded by Milk cofounder Mazdack Rassi, uber-stylish beauty and fashion editor, E! News correspondent, Zanna Roberts Rassi (she is also a fellow Brit), creative director Georgie Greville, and product developer and COO Dianna Ruth. It’s not been exactly easy to get your hands on their products, unless you live in the US (I've been smuggling it back from Sephora for a while), my first experience with Milk Makeup products was when I visited Sephora on a trip to the US back in 2017. 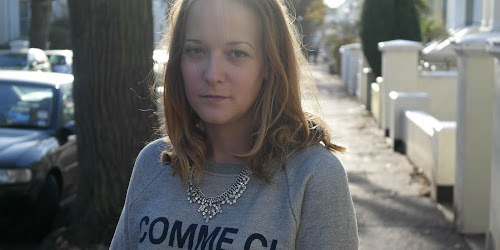 The brand had launched the year before, and I’d heard a lot of hype surrounding them. They’re cruelty-free, paraben-free and 100% vegan. The packaging is also recyclable, which is great - more beauty brands need to jump on this. The products range from cosmetics to skincare, and some have multi-use benefits. Their focus is on easy, convenient, expressive, naturally formulated cosmetics for the girl who is always on the move. Price points of the products is affordable - pieces start from £10.25 for their infamous tattoo stamps, and range up to £34 for foundation. Cooling Water is a stick treatment that is formulated with caffeine and seawater that is suitable for all skin types, including sensitive skin. designed to treat dry skin, dullness, puffiness, and uneven texture. Apply it directly to the under eye are for cooling and soothing benefits, and you can use it on the neck, face and body, as well as being used as a primer. It’s super handy when I travel - it even goes in the in-flight beauty bag I carry. It’s the perfect pick-me-up for tired eyes, and great for puffy eye. I picked this up in Chicago a couple of years ago as I ran out of mascara halfway through my trip. I liked the ‘toothpaste-style’ packaging, as it felt like you could squeeze more out of the product than a normal mascara tube. Application-wise, the wand head is made up of 3 balls, with the divets in between those created to help push up and curl the lashes. It did give my lashes a lift, but I did find that after a few hours, it seemed to transfer to my under-eye area, which is obviously, not the look I was going for! This volumizing mascara got its name via the formulation, as the key ingredient in it is cannabis oil. Another unique feature with this mascara is the brush design - heart-shaped fibers boost long-lasting volume, length and curl and lock on to lashes to reduce smudges. The Cannabis Oil is used to hydrate the lashes, and lock to them for thickness. I have to say, I was a little bit sceptical when reading the packaging in Sephora, but after trying it out, it actually seems to work! It definitely gave my lashes length, and there was no smudging or flaking plus, my lashes did feel quite nourished even after removing the mascara at the end of the day. Containing natural oils such as apricot, avocado, jojoba, and orange peel oils. The stick gives you an easy way to apply a little bit of moisture anywhere you need it such as on your face, under your eyes, across a dry forehead, or down the sides of your face. It is a lot like the the Milk Makeup Cooling Water Stick but it offers a different form of moisture. This is another one of their products that I have in my in-flight beauty bag, as it’s super handy for that extra hydration you need on a flight. Plus, as it’s a solid formula, it is airport-security friendly! This product is definitely my favourite I’ve tried from the range. With medium to full coverage, it blends easy, doesn’t cake or crease, and is long-wearing. My kind of concealer! 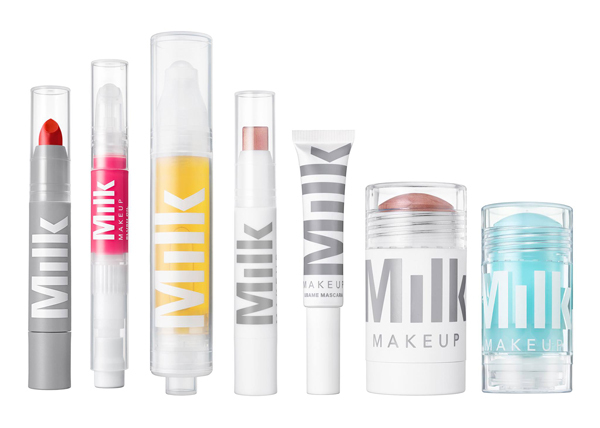 Milk Makeup launches online at Cult Beauty on 28th January. Click here to sign up for launch details, there will also be a pop-up shop in Covent Garden on 26 - 27 January, so if you’re in the area, head down to check out the brand.